Why Ontario Plastics? 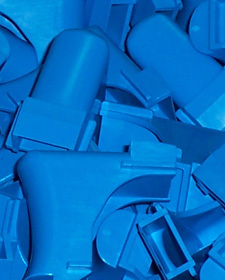 Having molded 500+ different resins, our experience is valuable. Ontario Plastics is experienced in molding over 500 different grades of resins and analyzing/selecting the right plastics for you. Material analysis is a vital process that determines what specific material is best for your application. This is critical because different materials are more effective in different applications (e.g., metal to plastic conversions). By utilizing our knowledge and experience, we can determine the most appropriate material necessary to meet your standards and requirements. Take advantage of our material database experience to select the right material for you.